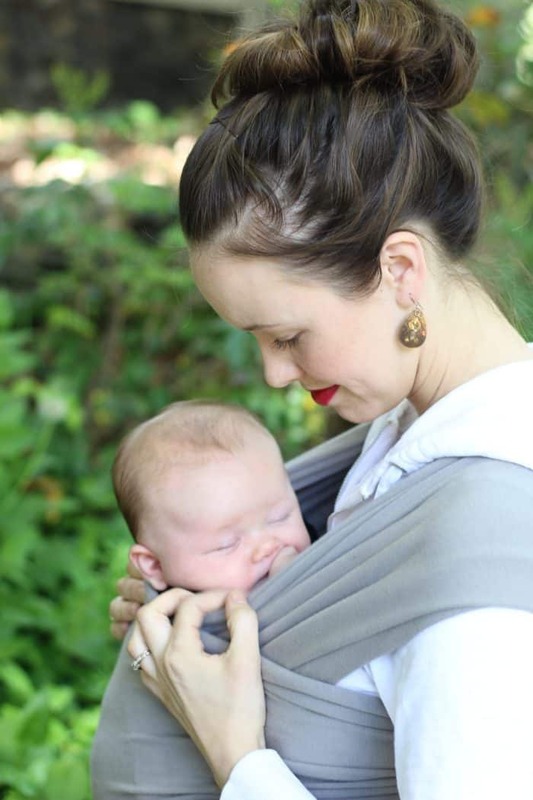 Wondering what could be so different about a Boba wrap vs Moby wrap? This Boba vs Moby review will answer your questions about length, stretch, positions for baby, and complaints of each. 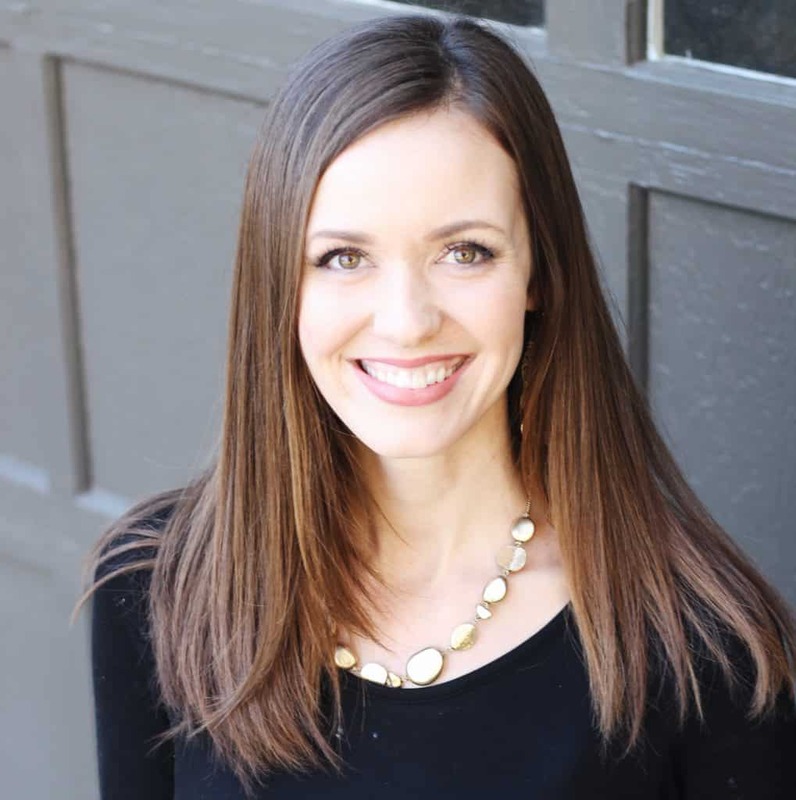 At first glance, you may not know which wrap a mom is using (aside from the label), but if you held the fabric you would instantly know. The Boba has a stretchy feel to it, where the Moby does not. That’s going to be your number one factor that differs when choosing between the two. The first couple months is my favorite stage to wear the Boba. While it’s not a long time, it really cuddles the baby in there and does not sag too much. I used my Boba every day for about three months till my babies got a lot heavier and then I switched to my Ergo carrier which has much better back support for heavier kiddos. The wrap kept my baby scrunched right next to my chest when they were new, and I used it at church, on walks, and to the grocery store. I had hands free and could feel my baby breathing. It was a real peace of mind! 1. The overall look is very similar. Both should make your hands free and still able to snuggle your baby! 2. These both take practice, but once you get the hang of it most love these baby wraps! 3. Both wraps fall to the floor when putting it on. This can be so dirty in public, so its best used at home or put on before you leave in the car, and add baby once you arrive. This is one of the biggest complaints about both wraps. 4. People have reported both to be hot if it is hot outside due to baby’s heat and so much fabric. 5. Fabric takes up a lot of space in a purse (like the whole purse). Best just put on at home or before leaving, and this will avoid it touching the ground in say a parking lot (it always touches the ground when wrapping due to the length). 7. So much fabric to wrap! Especially for a petite person (a large person can sometimes wrap it one less time around). 1. Moby is 100% cotton (think t-shirt material), Boba is 95% French terry cotton (so soft) and 5% spandex (very stretchy…think cotton jersey stretch fabric). The Moby has also come out with another wrap with a lighter more breathable fabric called the Evolution made from 70% viscose fibers and 30% cotton. 2. Moby is about one foot longer than the Boba. The Moby is 18 feet long, and the Boba is 5.5 yards long (about one foot shorter than the Moby). Keep in mind that although the Boba wrap is shorter, it stretches so the end result can be near the same length. 3. Moby claims 5lb-35lb baby weight, Boba is more conservative with 7lb-35lb. 4. Boba has 2 inward only positions. Moby has inward and outward, with 4 positions. 5. Moby made in Thailand, Boba made in China. 1. Unbelievably soft, more than the Moby. 2. Some love the stretch, as you do not have to tie it looser to leave room to insert baby. 3. So comfortable to wear! 1. Must tie more tightly than the Moby to keep baby from sagging with the stretchy fabric. 2. Some dislike the stretch and feel it is not supportive enough. 3. If baby slumps down too far then your back can hurt. 1. Moby offers a petite version that has less fabric! Must contact customer service to order. 2. Reported to be a little less hot than the Boba due to no spandex. 3. Does not sag or stretch much at all. Baby stays tucked in tightly. 4. Moby now makes a lighter weight version that is cooler and more breathable, out of 70% viscose fibers and 30% cotton as opposed to 100% cotton. 1. If you do not leave enough room for baby, you will have to rewrap, because this does not stretch. 2. The steeper learning curve in the beginning due to no forgiveness in the fabric. 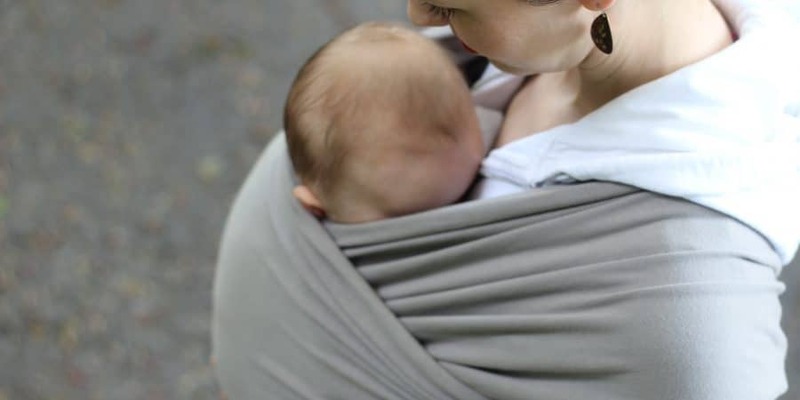 Which one is better, a Boba wrap or a Moby wrap? It’s all about preference, which is hard to be sure of if you can only buy one. Choose between stretch or no stretch, after reading lots of reviews. These wraps take practice using, and the first few times can be frustrating especially when you are shifting around a new little baby! It is definitely worth taking the time to watch a youtube video of someone wrapping this so you can see it in action! We got a carrier for our first baby – it’s definitely a handy thing to have. We are thinking of a wrap for the second and the Boba and Moby both seem to be good options with their own pros and cons. A couple of questions if you know the answers. 1. Are these also suitable for a male to wear? My wife and I often share the carrying duties. 2. Which one would you recommend? I like the sound of the softness of the Boba and the stretchiness but I like that the Moby has an outward position. Our boy preferred the outward in the carrier so want that option in case the 2nd one does too. Thanks for leaving a comment and yes men can wear them nicely! My hubby often wore our Boba (in the grey so color was neutral enough for him 🙂 He is 6 foot 6 inches and a big guy, and there was plenty of fabric for him. It was especially easy if he put the wrap on and I could help him put the baby in. As for which one I recommend, I would get the moby. I had the boba and would like the moby better, due to the baby feeling like she would sag too low after a while in the boba. I would end up tightening the boba by retying which did help, but then sometimes it just felt so tight. My hubby also really liked carrying a sleeping baby close to him, which is so special. With that said, you will be able to also do the outward position with the moby. Congrats on the second baby as well! Good to know that I’d be able to wear it and that they have neutral colors! thanks for a great comparison here. Based on what you have said, I think I would prefer the Moby as it seems to sag less. Where can I purchase? How much does each one cost? 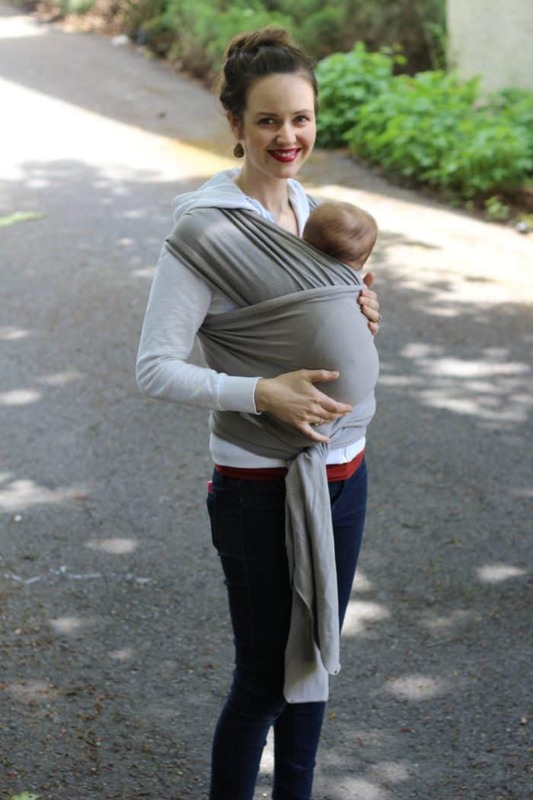 I had a Baby Bjorn carrier with my first 3 kids and although I love the comfort and security of it, everyone seems to be using these groovy wraps these days so I would love to give it a go too with my next baby. I live in a tropical climate. Do they have a lighter fabric option at all? Hi Kris, thanks for your great questions here. You can purchase the moby here on amazon for $33 with lots of color choices, where as the boba is currently around $40 on amazon. Most baby stores also have these like babies r us, target, mom and pop shops, and even some second hand places! They do not have a lighter fabric option however with the moby they do offer a petite version through customer service which i believe is shorter. I think you will love trying it out. I did see one of the main complaints of people living in hot climates was that the wraps tend to make you even more hot, but perhaps you have a cooler climate inside. Best of luck, and thanks again!